South Korea has been the host and the exporter the 2018 Winter Olympics for the last two weeks. What many American and Western Christians do not realize, besides electronics and automobiles, South Korea is also one of the largest exporters of the Gospel with 27,436 Korean Christian missionaries serving in 170 countries. Some in places where Americans cannot legally go. Today, Seoul, the capital of South Korea, has more megachurches than any other city in the world. In fact, six of the ten largest churches in the world are in South Korea. In 2012, official government statistics put the number of Protestant churches at 77,000, more than three times the number of convenience stores in the country at that time. The 1907 revival also gave birth to a powerful prayer and repentance movement that is still being felt to this day in the country. Christianity received its biggest initial boost in Korea from one of the greatest revivals ever in 1907 in the city of Pyongyang which is now the capitol of North Korea. A prayer and repentance movement started with the revival still continues today with thousands of South Koreans going to church for early morning worship and prayer before going to work. Unfortunately in Pyongyang today and in all of North Korea Christianity is outlawed. Nevertheless, The church continues underground in the North and missionaries from the Chinese Christian community and from South Korea continue to sneak their way into the North through China. -Will the Chinese Host the Largest Revival? “Many pop celebrities have received Christ and are boldly proclaiming their faith on traditional and new media. I have no doubt that the largest revival in the End-Times will be a move of God in the Chinese-speaking world,” Kong wrote. Response: In many ways a hidden revival has been on-going in China since the Communists shut down the churches and missions after WWII. 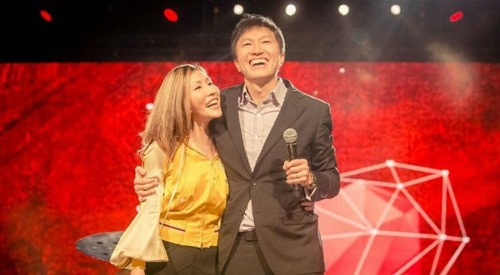 At the time there were less than a million Christians in the country but a generation later there are at least 100 million and maybe as many as 150 million Chinese believers mostly worshipping in house churches. Now the Chinese church seems to be ready to go prime time and maybe affect the entire culture. However government persecution has also increased as many of the house churches came out of the closet and began building large worship facilities to hold all of the converts. Four Christians in Iran have been sentenced to receive 80 lashes a piece after being caught taking communion wine in a home. Consuming alcohol is a violation of the law in that country in spite of the fact that it was part of a Christian ritual. Authorities in Iran are currently conducting raids upon the houses of suspected Christians trying to stem the ‘revival’ type of exponential growth of Christianity in that Middle Eastern nation. For more information see my article on this story on my Answers For The faith blog. Response: Please pray for these 4 brothers. 80 lashes is just about as close to a death sentence as one could get. What a travesty. Meanwhile the American administration hasn’t commented on this case.